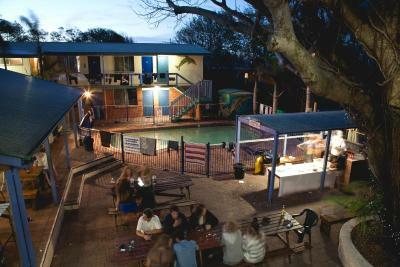 Lock in a great price for Backpackers Inn On The Beach – rated 8.6 by recent guests! 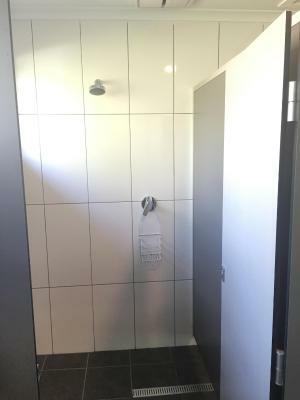 Rooms are very clean, as well as the bathrooms. Dave, the owner, helps us with an issue with our car. He's a really cool guy. Staffa are very friendly!! When I ask them some questions many times they answered with smile. 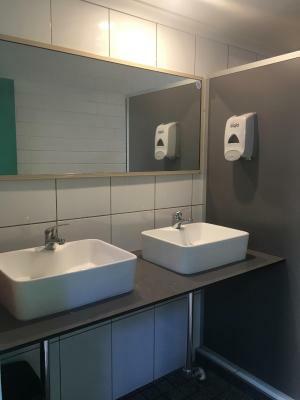 The facilities are very clean, so make me relax. You can walk to the beach from back door. (within 1min!) 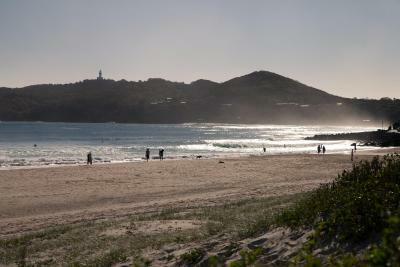 I come back to Byron bay, really wanna stay there again! The location is perfect, the staff is really friendly. Also they got all kinds of tour. I love that it has green areas and its own door to get to the beach. 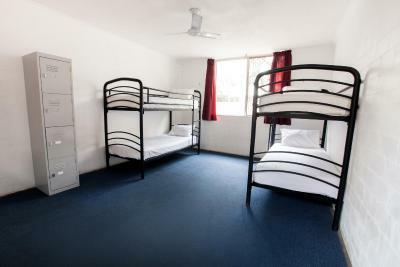 It is a beautiful and very comfortable hostel. 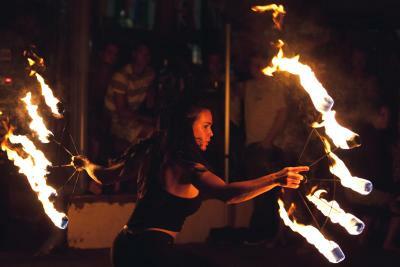 I loved the atmosphere, very laid back, fun and beachy feeling! I’m a solo traveler but it was so easy to meet people with the outside common area and events going on. And it was an added bonus having the beach just a short walk down the path behind the hostel. 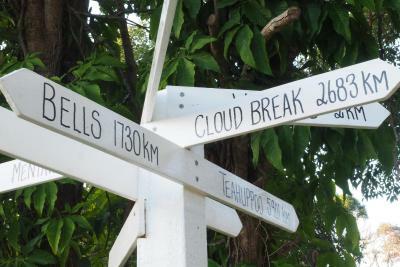 I will definitely be staying there again the next time I’m in Byron! 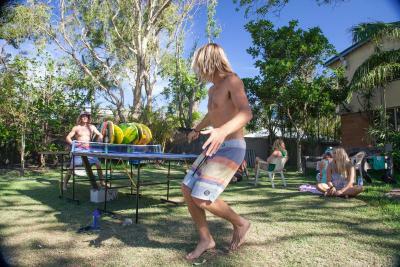 The atmosphere: heaps of travellers likeminded in facilities that makes very easy to meet people and hang out. 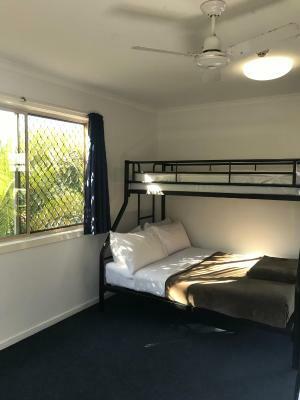 It’s a minute walk from the beach. 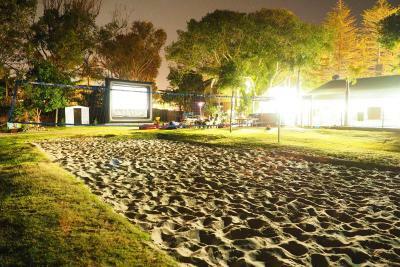 Has a volleyball court, beach cinema screen outside. 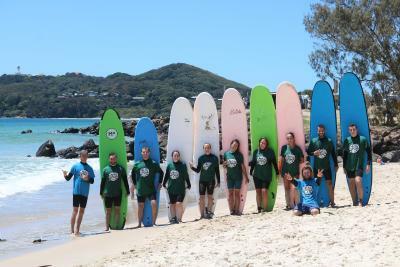 Activities and tours everyday. 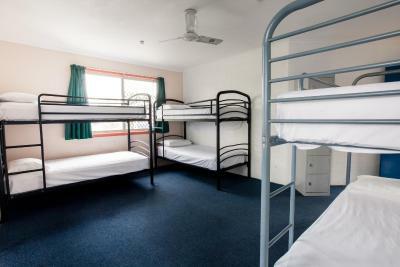 Rooms are also spacious and comfortable beds. I met wonderful people, and had amazing days! Would def stay there again. 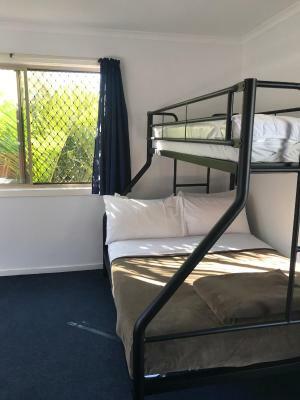 Walking distance to the beach, kitchen and toilets were clean. The staff were helpful. 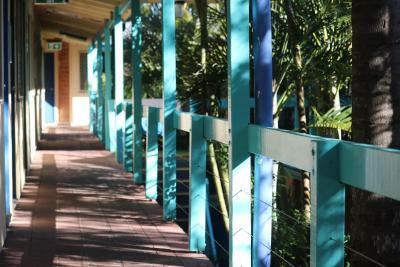 Will definitely book this place when i go back to byron bay. 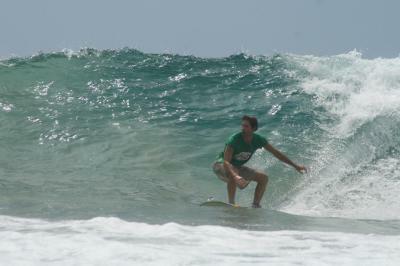 The mood of the place and the facilities that the hoster offers like renting bodyboards. 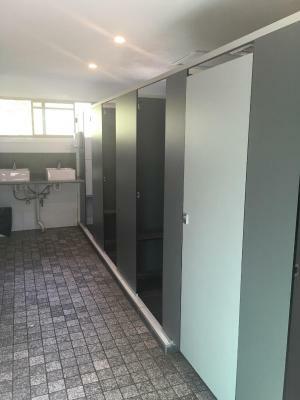 The locker room is so convenient after checking out. 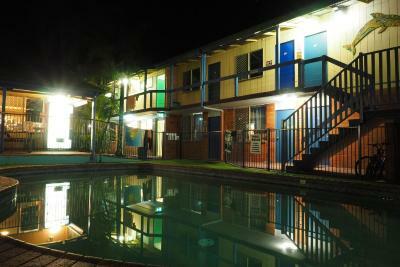 Second time in this hostel and I would repeat again for sure next time. 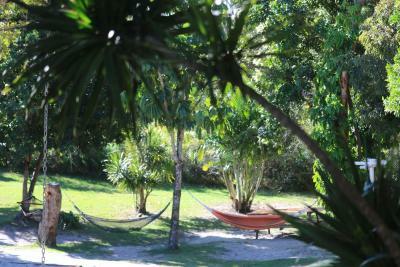 Great location right up to the beach, awesome tour desk guy, nice pool and hammocks. Super chill vibes and relaxing atmosphere. But was really comfy too. 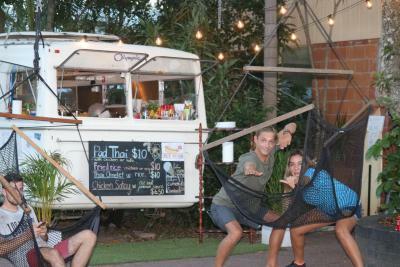 One of our best sellers in Byron Bay! 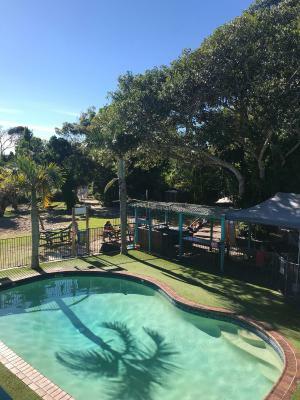 Featuring free WiFi, an outdoor swimming pool and a terrace with evening entertainment, Backpackers Inn On The Beach is just an 11-minute walk from Belongil Beach. 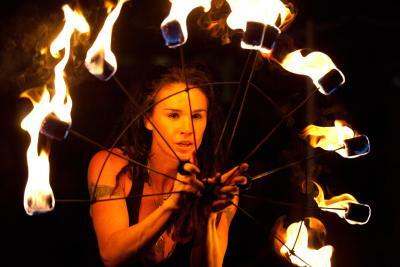 A free shuttle bus and free bike hire are provided. 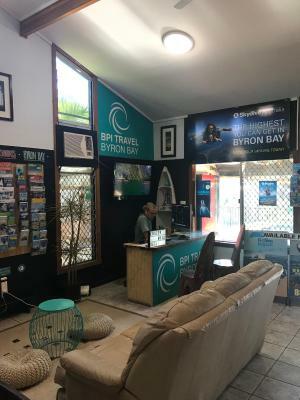 Backpackers Inn On The Beach Byron Bay is a family-run hostel and is a 6-minute drive from both Tallow Beach and Arakwal National Park. 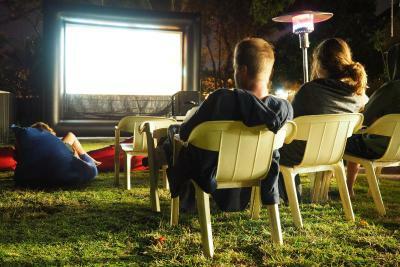 Guests enjoy access to a shared kitchen and a communal lounge area with a TV. 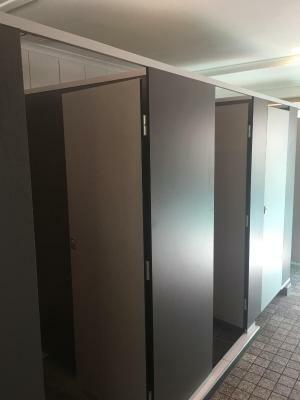 Shared bathroom facilities are also included. 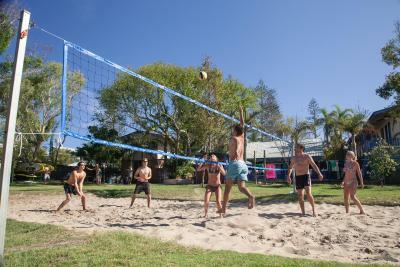 There are a range of activities on-site and in the surrounding areas including snorkeling, table tennis and beach volleyball. 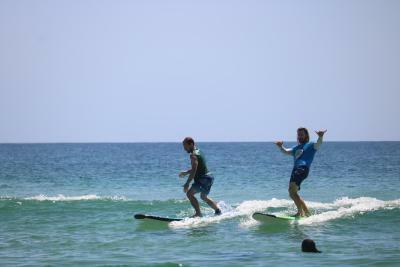 Belongil Beach is a great choice for travelers interested in sandy beaches, surfing and beach walks. 뀐 Located in the top-rated area in Byron Bay, this property has an excellent location score of 9.1! 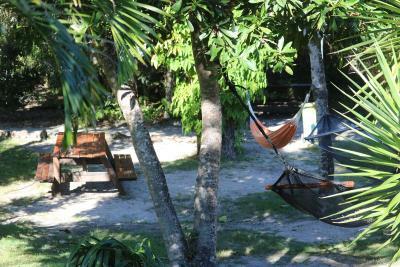 When would you like to stay at Backpackers Inn On The Beach? 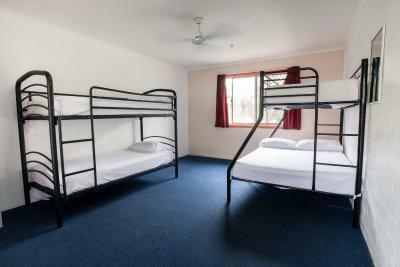 This room includes a fan, linen and access to both shared kitchen and bathroom facilities. 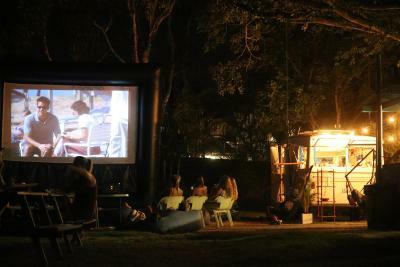 It also includes access to a communal lounge area with a TV. 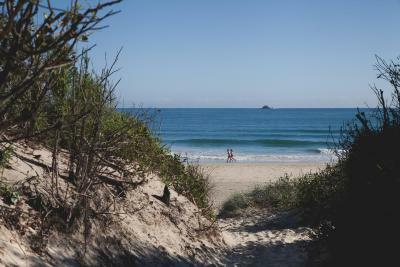 Area Info – This neighborhood is a great choice for travelers interested in sandy beaches, surfing and beach walks – Check location Excellent location – show map Guests loved walking around the neighborhood! 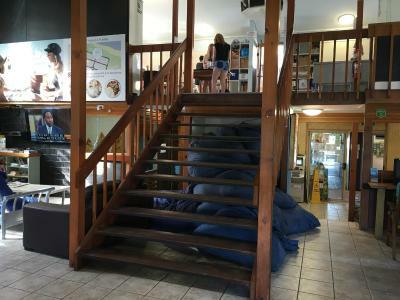 House Rules Backpackers Inn On The Beach takes special requests – add in the next step! 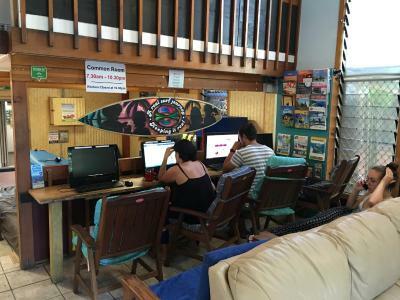 Backpackers Inn On The Beach accepts these cards and reserves the right to temporarily hold an amount prior to arrival. 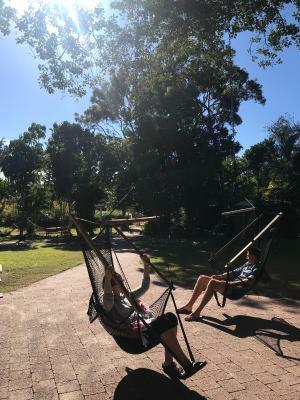 Please note that this property does not have any policies, procedures or resources in place to accommodate the unique needs of school graduates during the annual 'Schoolies Week' period. It does not have adequate resources to engage qualified security personnel to guarantee the safety, comfort and convenience of school graduate guests during this period. Please advise the property of the number of guests per booking in advance. You can use the Special Requests box when booking, or contact the property using the contact details found on the booking confirmation. We paid a higher rate as it was bluesfest but I understand. Easy to find, 10min walk to the town center and the beach is right at your back door. A lot of people, very busy hostel. Not enough fridges, hard to store your food. A charge/ deposit of 5$ for the kitchen set and you need to carry it with you. 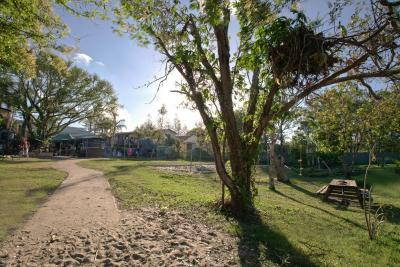 It's proximity to the centre of town and beach access. The food in the kitchen fridges got a little crushed. 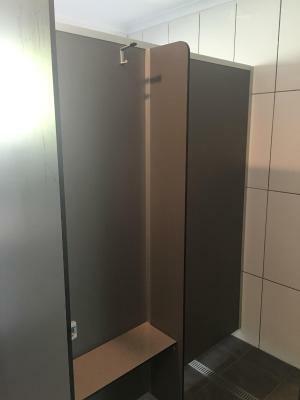 Is it possible to have some kind of dividers or shelves with bigger spaces and some with smaller spaces, maybe providing hard plastic boxes? The friendly conversations with many people of various age groups. 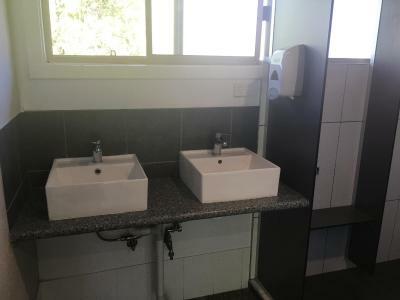 The clean facilities. I enjoyed my stay very much. So close to the beach, town and supermarket. 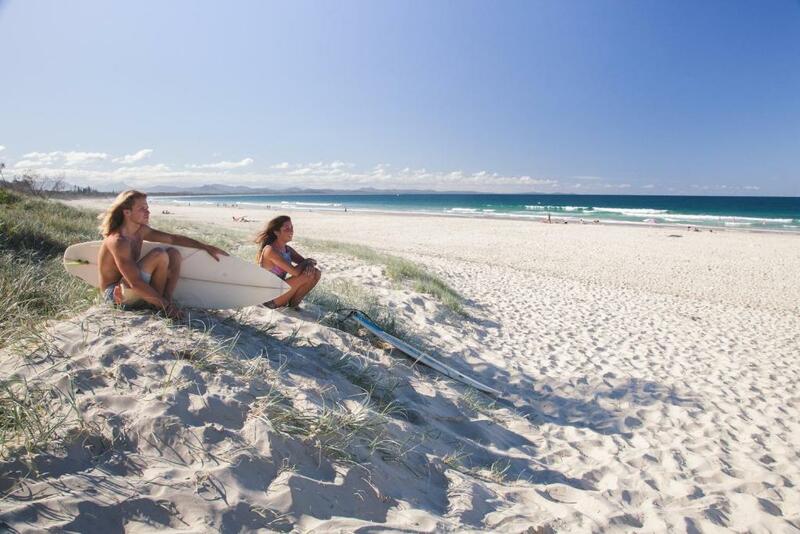 The amenities and closeness to the beach! 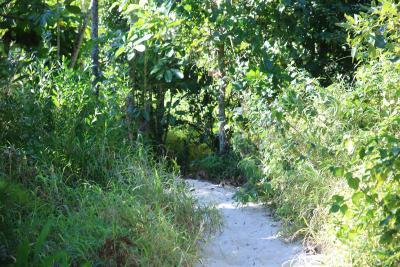 the location is perfect, just a short stroll down a private path to the beach. Only a short stroll into town and just far enough to be quiet, I like that this isn't a party packers. Great value and helpful staff! Staff was a little bit rude and not that helpful. Close to the beach and quite clean kitchen. Good cleaning rules. 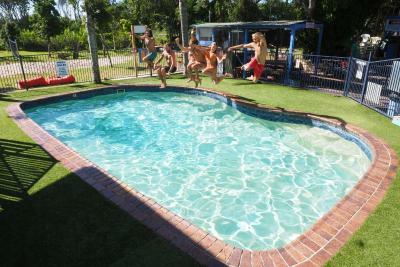 Amazing location, friendly staff, clean facilities and great atmosphere.